And I’m finally back with a few more shots from Santorini! Re-entry has been wonderful yet time-consuming but I’m committed to finish what I started. So…please hang in there with me. 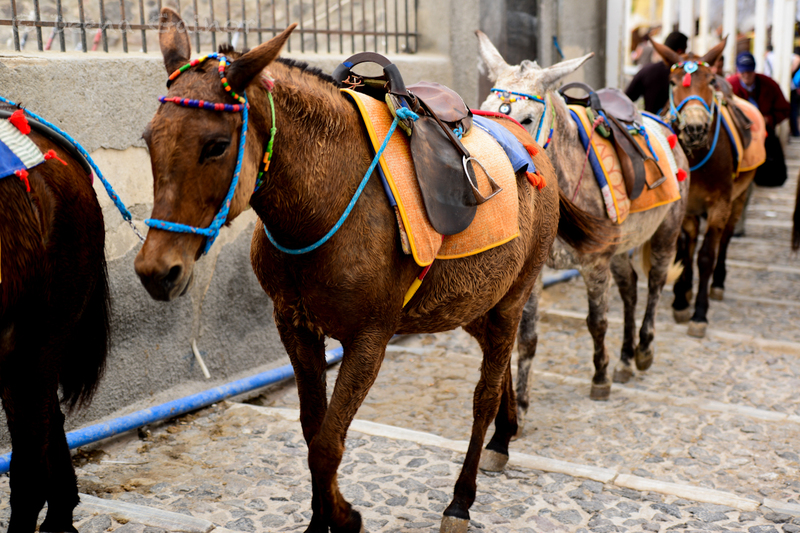 First, the donkeys of Santorini. 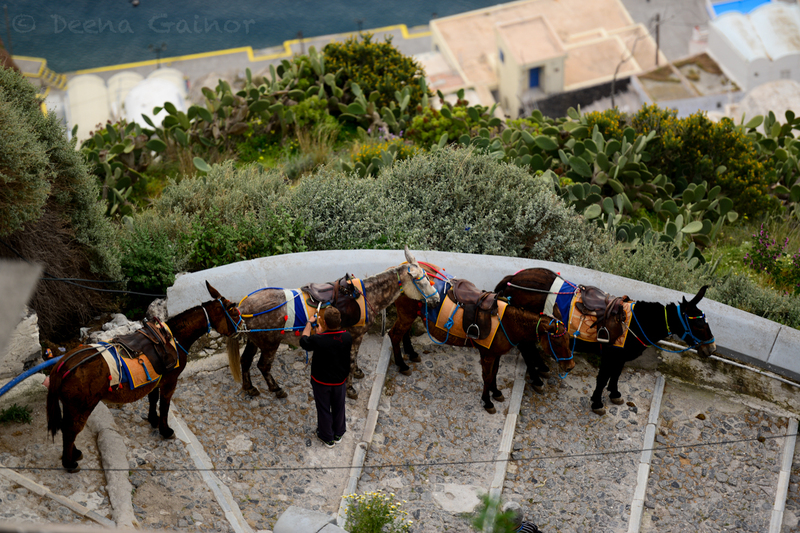 They are everywhere and often found transporting people up and down the 600 plus steep stairs that start at the water and ascend into the town of Fira. 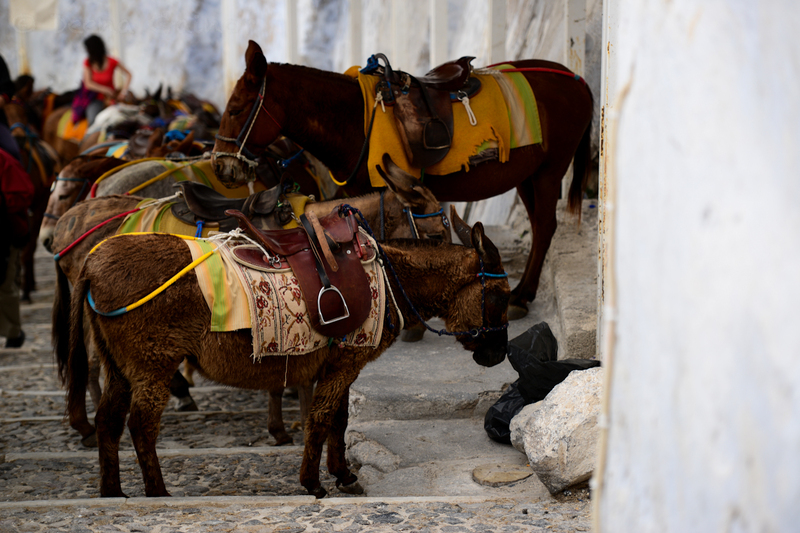 While they are absolutely adorable and the thought of riding them up from the port can be very enticing, the situation for the donkeys is very similar to that of the Elephants of Thailand. In my opinion, based on research I have done as well as my own personal experience of observing, they are being abused. 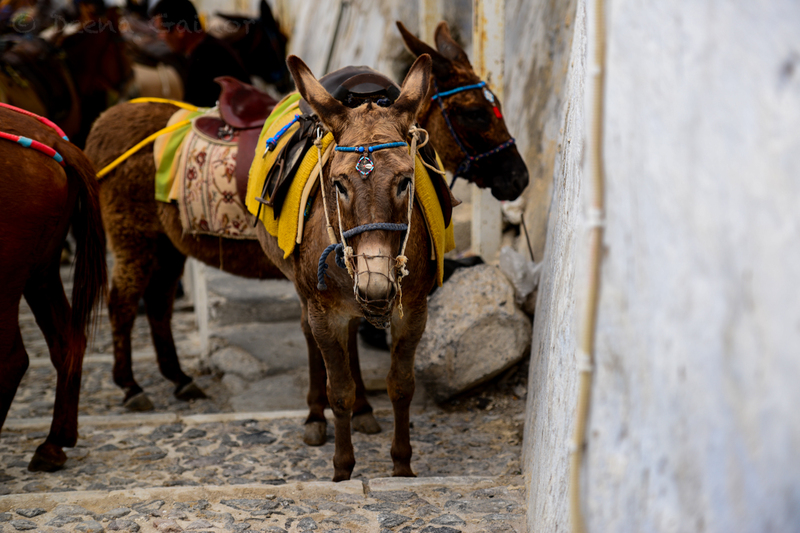 The donkeys are forced to climb and descend the steep stairs numerous times from the start of the morning to the end of the day, often in the scorching sun. I rarely saw them getting food, water, or shade, and upon closer observation, also noted sores and cuts on their bodies. They often had riders too heavy for them to carry and their hair was coated with sweat as they labored under their burdens. If they weren’t cooperating or moving quickly enough, their owners would beat them with a stick (see above). It was painful to watch. 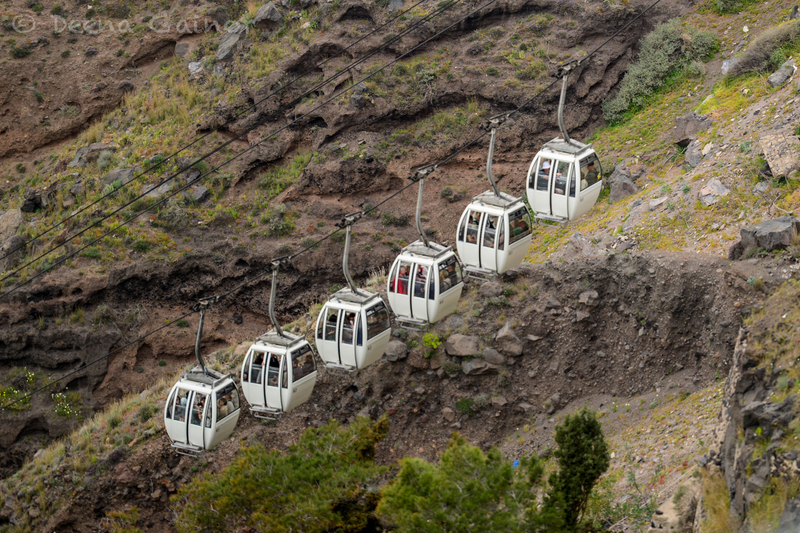 For many years, animal welfare groups have worked hard to have them protected, but to no avail, despite the fact that there is an alternative mode of transport to the top of the island – the cable cars. Unfortunately, people are unaware of the situation and continue to support this practice. 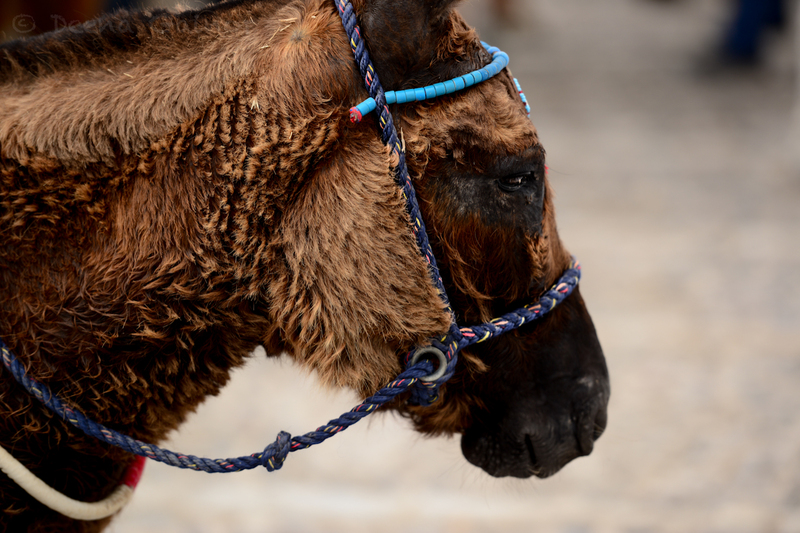 So…if you ever hear your friends talking about going to Santorini and wanting to ride the donkeys…maybe you could share this information with them. 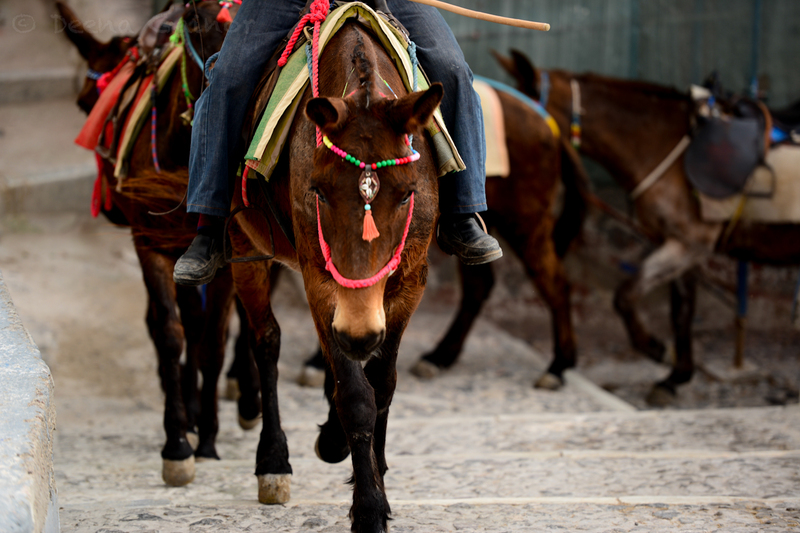 I’m sure the donkeys would appreciate it.